Want to take a nice walk through the woods to a pretty waterfall? 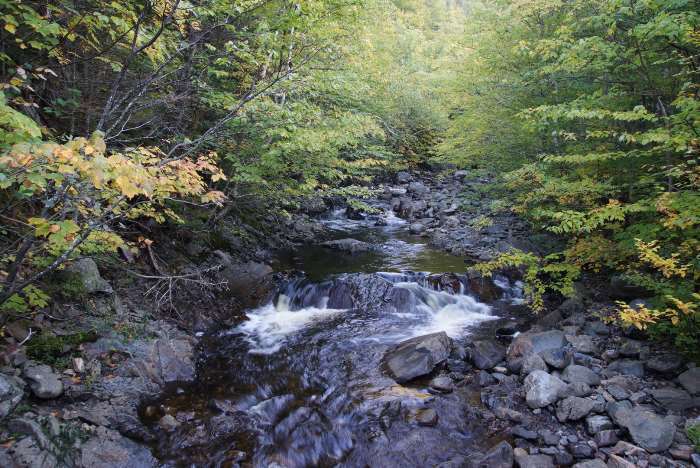 On the west side of Cape Breton National Park, I’d suggest the hike at Corney Brook. This is a 6.5 kilometer (4 mile) round-trip, with very little elevation gain — so it’s not exactly short, but it’s still easy. 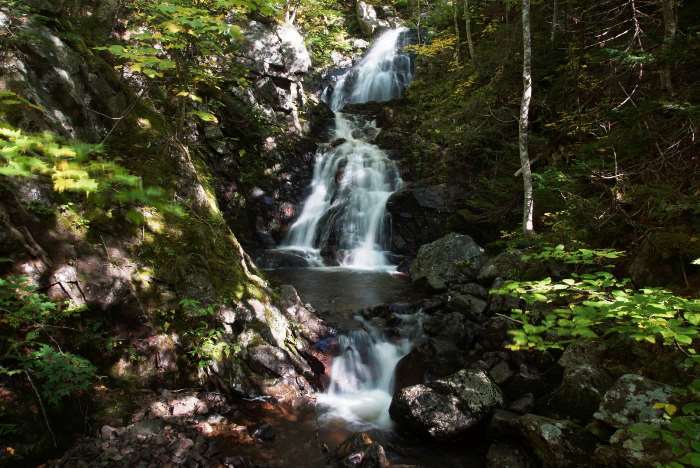 The Corney Brook Waterfall Trail is located between Cheticamp and Pleasant Bay, on the west side of the Cabot Trail. It’s just south of the trailhead for the popular Skyline Trail. Park at the Corney Brook campground and cross the street, and you’ll see the trailhead. It was Day 8 of my trip, and it was time to leave Cape Breton. But I wanted to squeeze in one more nice hike in the park before I headed off the island (and eventually, back to Maine, to fly home). 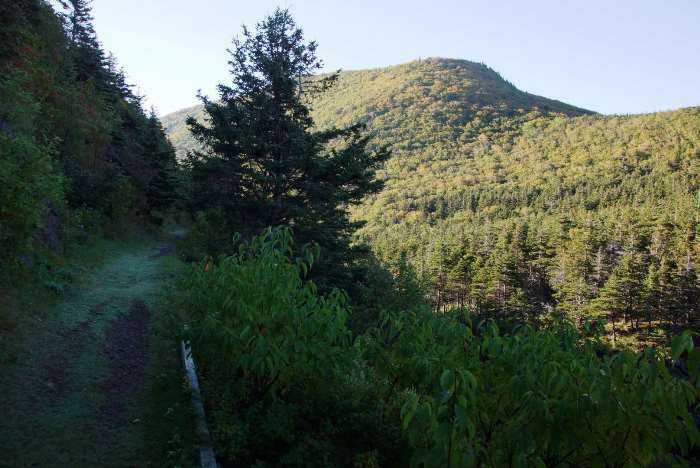 Since I would be driving out on the Cabot Trail, from Pleasant Bay to Cheticamp and beyond, it made sense to choose a trail along the way. And since I had already been traveling and hiking for a week, it made sense to choose a trail that wouldn’t be too challenging. Corney Brook fit all the criteria. 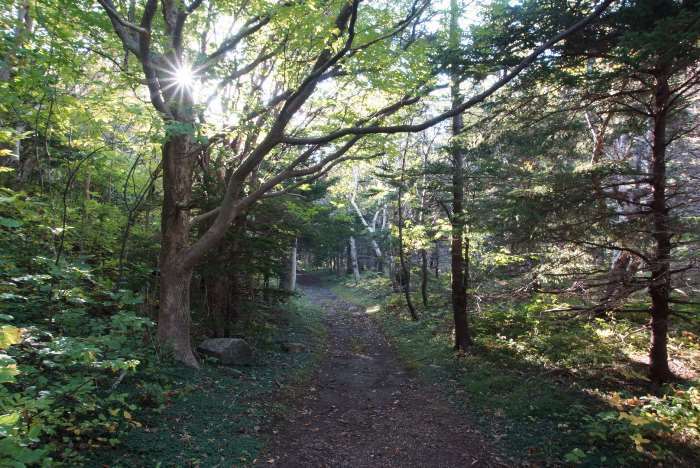 The trail begins at the Corney Brook campground, on the opposite side of the Cabot Trail. I’m not exactly sure if the trail was officially open on the day that I hiked it — that barrier that says “closed” might have been a clue. But, I chose to ignore it and hike the trail anyway. 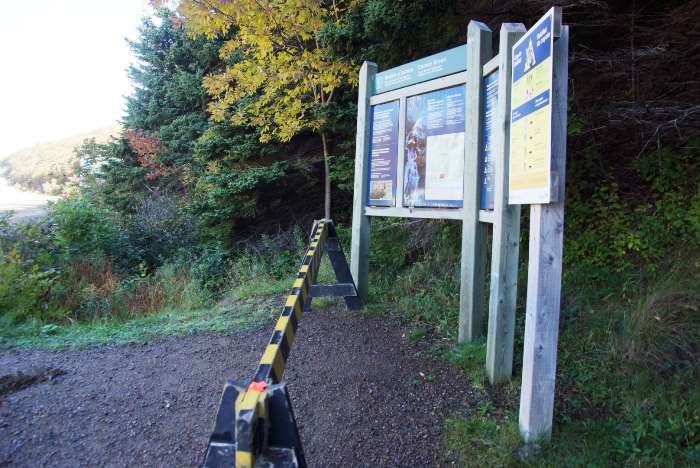 I think the barrier had more to do with the construction on the road, rather than the status of the trail. It looked like they were installing a new bridge over Corney Brook. 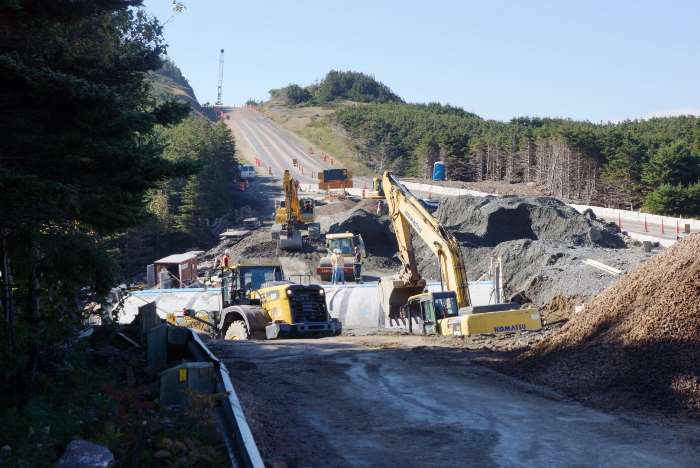 This work will probably be done by the time you get to Cape Breton, but at the time, all the construction noise made the first few minutes of the trail a little less pleasant. 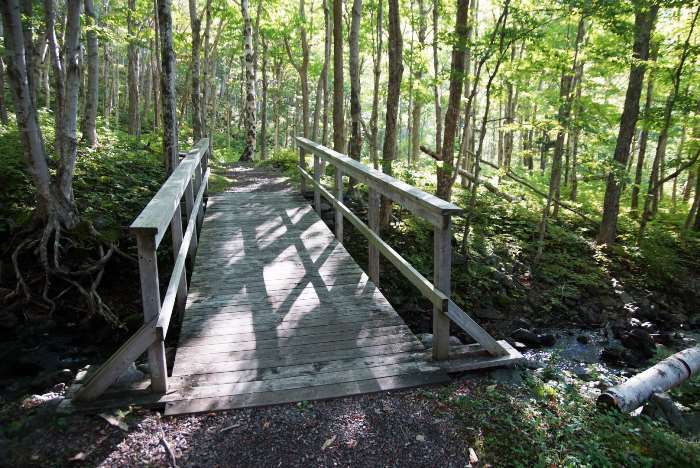 … for a relaxing creekside walk through the woods. 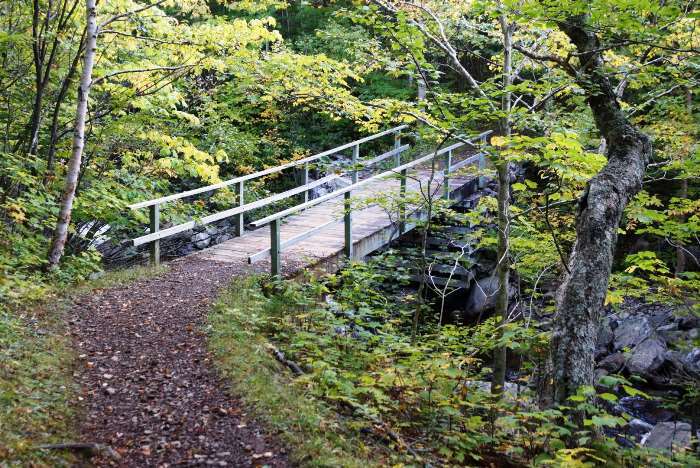 There are three bridges to cross as you head towards the waterfall. You’ll reach the first one after about 20 minutes of hiking. … and it offers a nice view of the creek. Bridge number three is about five minutes beyond bridge number two. After the third bridge, the waterfall is about 15 minutes away. As early October turned into mid-October, I was starting to see more fall colors, but I was still too early for the best of it. 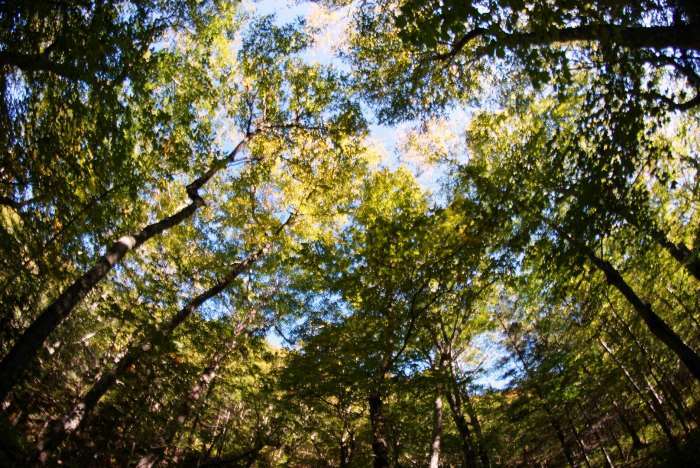 Even so, that’s a beautiful canopy of trees. 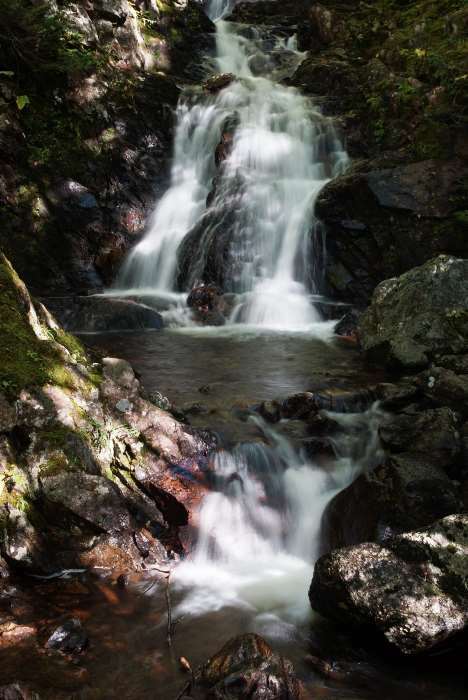 It took me about an hour of very leisurely hiking to arrive at the Corney Brook Waterfall. … or make your way up the hillside, to a higher vantage point. Either way, it’s a nice little waterfall and a decent reward for an hour of hiking. 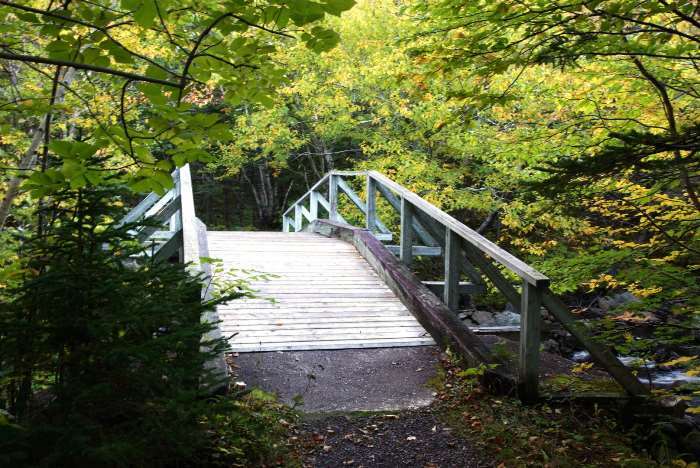 On the way back, I continued to take my time, stopping at the bridges and enjoying every moment of my final Cape Breton hike. Just one week later, and I’m guessing all of those leaves would be brilliantly colored. 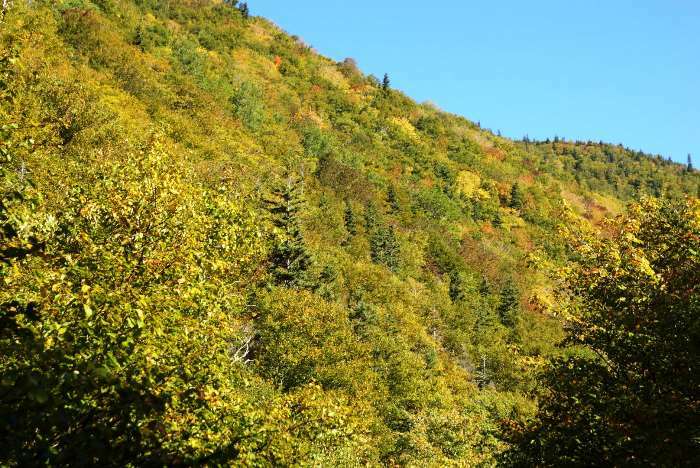 If you’re trying to arrive for the best fall colors, I’d suggest planning to visit in mid-October (based on the timing of the 2016 leaf season). 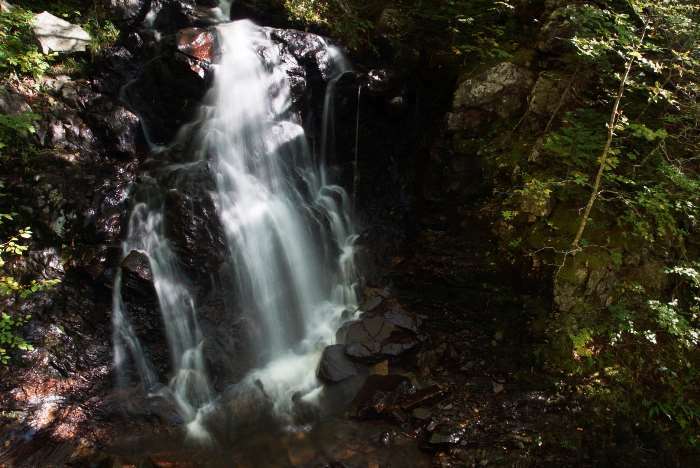 The hike to Corney Brook Waterfall doesn’t need to be at the top of your list of Cape Breton trails. There are more challenging and more dramatic paths to follow in the park. 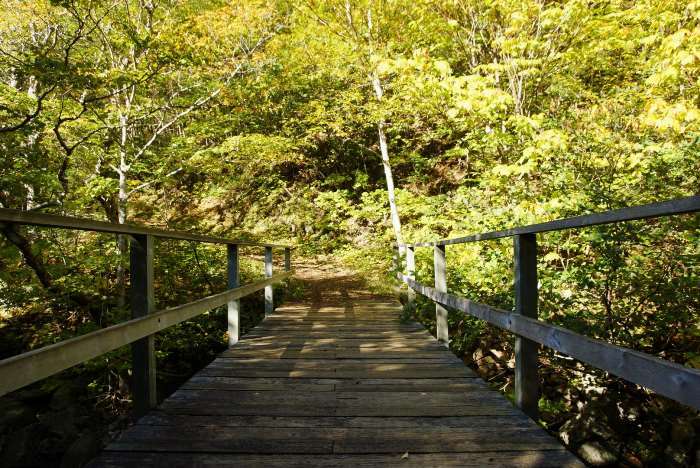 But, if you’re looking for a family-friendly hiking trail, or one that offers a nice reward without an extreme amount of exertion, the Corney Brook trail is a nice choice.